Today in sports we reject the use of performance-enhancing drugs, yet most professional athletes have used them at some point in their career. In the article by Dimeo, he mentions that in the 1930’ s and 40’s the use of amphetamines were common among professional athletes until steroids were developed. The plus side of steroids were that they did not have to be taken as a “pick me up” during the race or event, but taken prior and aided in recovery and ability to train for longer periods of time. In reading these articles it seems that this inherent struggle to eliminate the use of performance enhancing drugs is more recent than I may have guessed. Athletes have been testing out ways to enhance performance artificially since the late 1800’s. In Dimeo’s article it is also mentioned that doctors had not mentioned any major side effects of the drugs, when used in medical dosage. It then goes on to mention that athletes have a tendency to consume more that the prescribed dosage and there were a number of athletes mentioned whose deaths were overlook despite the cause being the performance enhancing drug. 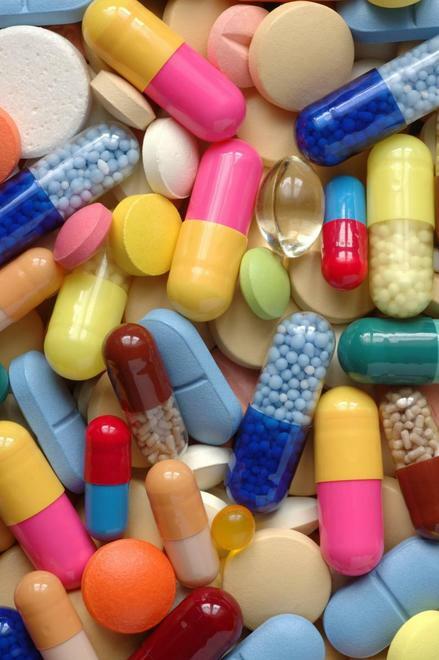 Is this possible that performance-enhancing drugs could ever be regulated, not banned? If small doses of a substance render minimal negative side affects, then would regulation of the all performance enhancement drugs become acceptable? There is an obvious history of record breaking in sports back when drug use was unregulated and not seen as an issue. Why is it that when someone breaks a record and has used PED’s they are stripped of their title, when some records that were made or broken from 1930-1960’s may have been done using PED’s also? We will never know who set records on PED’s because there was no record kept regarding who had taken the drugs. Is this unfair? There is a saying “If you can’t beat em’ join em’”. What if there was a regulation on such drugs; a common ground in which we may allow some forms of performance enhancement? I do not believe that PED’s will ever cease to be used. As long as there is a desire to become better, stronger, faster, etc., there will be a need/want for PED’s. In class we had briefly mentioned allowing a hematocrit level of 50, which is safe hematocrit level, and there are no questions as to how you achieved this hematocrit level. Our society is fighting an up hill battle against these drugs, so I believe that compromise could be the answer. Another suggestion by Gardner was controlling the use of PED’s by making them equally available to all athletes. This could make a more equal playing field. There are so many different ways to lead to one goal. In the instance of increasing your hematocrit level there are two methods, one of which is illegal. What if an athlete is unable to train in the altitude and his opponent trains in the altitude all the time, is that fair? Would it be fair if he were allowed to take the drug as opposed to the altitude training? I think that taking a PED that has a regulated dose may be appropriate. Both athletes train a certain way based on their available circumstances, and their desire to win. All professional athletes have the desire to win; so allowing them to improve their physical ability through PED’s may be a viable option. There is also the question to whether the substance aids in improving performance by use of a shortcut. Whereas with steroids the athlete still must put in the work to see the results, other PED’s improve an athlete’s ability without the accompaniment of hard work by the athlete. Considering how the improvement in performance was acquired should play an important role in the possible regulation of PED’s for use in sport. In my previous post I was against the use of PED’s stating that it messed with the free will of athletes who were non-users. Reading further into the controversy I have a better understanding of PED’s role in sport. I believe that there is too much use of PED’s occurring to be able to ban use forever. Eventually there will be rules and they will be regulated. I would never consider the use of PED’s myself, but I am also not a professional athlete who wants to succeed and perform to the best of their ability. I believe that the regulation of certain substances may be the answer. Right now the focus should be on finding a way to even the playing field with the use of PED’s. Can this be done? Will there ever be a common ground? I don’t know. Always striving for excellence, always trying to be better than the opposition, at all costs, no matter what it takes. This seems to be the motto of our culture. We are willing to risk our mental and physical health to achieve physiological advancements. One of the most controversial advances is the use of steroids in sport. Prior to the reading of the articles by Hoberman and Simon, my first reaction was that it is obvious the use of steroids should be illegal in sports of all levels. Although I still uphold that they should not be used, there were a few counter arguments that made the solidification of my statement not so concrete. So to defend my opinion I would like to briefly discuss why I believe it is unfair to use performance enhancers. 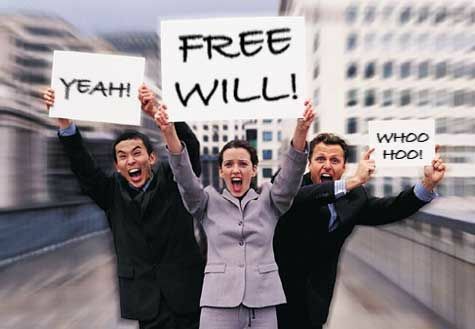 Free will, our right as a human being to have free choice. In reference to sport, yes, we are free to train a particular way, adhere to a particular diet, and use a particular brand of equipment, which may or may not improve overall performance. But doesn’t this idea of God-given free will coincide with moral value? Yes, we have the right to choose whether or not, as an athlete, we want to risk our physical and mental health to achieve greatness, but at what cost? In previous posts and readings we discuss reasons why an athlete will participate in a competitive sport. I believe that it is not only for the love of the game but also for the love of competition. Athletes work hard, giving up luxuries of life, to compete. So if the opportunity to beat the competition arises, people will ensue. But is it morally ethical to make such a decision and to go to such extremes to beat out the competition? I think not. We have rules and regulations so that each competition is fair and everyone has an equal opportunity to win. When an athlete agrees to consume steroids or any other type of performance enhancement drug they are producing an uneven playing field. In Hoberman’s article, an argument in favor of performance enhancers states “they yield improvement only in conjunction with hard training and demanding work ethic. In fact, they allow muscles to recover faster and therefore permit users to engage in more intense and more frequent workouts than nonusers are able to manage.” Though this is potentially a correct statement; there is no magic supplement to replace hard work, ALL professional athletes are working hard to achieve the same goal. What about the athletes who want to achieve athletic excellence sans external means? Is this fair to those who are prudent of their future? No, it is not fair. In sport we strive to make rules that allow a fair playing field and we occasionally adjust rules to add more dimension and/or overall excitement to the game, but in this instance the athletes still have equal opportunity to succeed. When you factor in performance enhancing drugs you are adding an element that is uncontrolled, unregulated, and unfair. While some athletes are willing to risk physiological damage for better performance now, others are not. Hoberman also discussed the idea of coercion in sport. “Athletes may believe they are trapped because they are faced with the choice where neither option is attractive: Don’t take steroids and lose, or take them and remain competitive.” In this dog eat dog world we still must considered how our actions affect those around us. I would consider this a violation of ones free will. If an athlete feels like the only way to be a competitor is to take enhancement drugs, then they are unable to act using free will. Although athletes are always reaching and searching for ways to improve the performance and catch an advantage over their opponent, it is important to have balance. Yes, it is healthy to have a strong competitive drive, but when does it cross the line to overly competitive? We must not forget moral obligation. We have free will to use however we choose, but we must become aware that our actions do affect others, and what we do unto others we do unto ourselves. Although it is the athletes’ choice whether they want to put their bodies at inherent risk by consuming performance-enhancing drugs, it is not ok for their choice to affect the will of others. What does it mean to achieve athletic excellence? Some believe that “it is not whether you win or lose, but how you play the game.” There are those that believe winning is everything; others say a combination of the skill, determination, courage, and fairness of play also play a role in achieving excellence, along side of winning. In a society driven by money, power and the desire to be number one, this is also reflected in our view of sport. We dehumanize sport by referring to athletes as machines, use money and other external goods to promote competition and some coaches may even resort in tactics such as cheating, violence, and aggression as avenues to obtain the big W. We put pressure on our kids to succeed at a young age and, in many cases, parents take the essence of play out of sport. Sport can become a great tool to teach kids morals, fair play, friendliness, and teamwork, but with an emphasis solely on the outcome these intrinsic factors take a back seat to winning. In this blog I would like to discuss why winning has been so over emphasized; Why the winner may not always be the superior athlete; What should sport emphasize if not winning? What we find wrong with sport is just a reflection of our society. In Hundley’s article “the overemphasis on winning: a philosophical look”, he believes we are too outcome oriented, all that we emphasize is whether or not we have won or lost. If we completely cut out the path in which we took to reach a particular outcome, I believe, we have missed the whole point of sport. Sports are a derivative of play; play is a form of human expression. The act of play is something in which all humans can relate. But when we pressure athletes to win and offer them external rewards for their win it takes away the element of play in sport. We would then consider sport a form of work, since the goal is to obtain a particular outcome. This overemphasis on winning is driven by our ego-oriented society, governed by work, where we strive for more power and we want more prestige. When we focus on winning we miss how the game was played, and sometimes the superior athlete does not always win. Don’t get me wrong, I believe that winning is an ingredient to athletic excellence, but it should not be the only ingredient. There are several different factors that may affect the outcome of a game, causing the less superior athlete or team to win. Dixon discusses this further in his article “On Winning and Athletic Superiority.” He notes that referee errors, cheating, gamesmanship and bad luck all play a part in the outcome of a game. I do not believe that it is possible for any one person to always win; even the best must experience loss. Have you ever played a game where you dominated the opponent’s side of the field, had several chances to score, but missed them all? This would be considered bad luck or even an “off” day. This is allowed! We must remember that as a reflection of life, participation in competitive sports also has its ups and downs. If we did not know what it was like to lose, how could we truly appreciate what it feels like to win? There are also instances of athletes cheating to win a game. Dixon defines cheating as “an attempt to break the rules of a game while escaping detection and punishment.” This goes against the moral values and fair play that should be a major component in the way athletes treat others and the game itself. Dixon argues that in some ways cheating may be a legitimate tactic, which may lead to a better way of playing the game. I guess I would have to somewhat agree, we should always be striving to make a game better, but initially when a person cheats to deceive, it is not coming from a solid moral ground, but from a desire to win at all cost. To balance out the overemphasis on winning we should also make light of the skill and moral conduct of an athlete. Why is it that we do not take more time to appreciate the beautifully executed pass or play? Playing a sport also means practicing and improving your skills, it takes determination, dedication, and teamwork to execute a play, but all we want to know is who won the game. Yes, there should be a competitive component to a game; this competitive drive translates well into work or school. But this should not overshadow what it took the athlete to achieve a favorable outcome. In the article by Stanley Eitzen, “The Dark Side of Competition”, He may have been a little harsh but made a few good points. I agree that we instill this sense of fierce competition in our children at such a young age, causing the loss of joy when an athlete participates in sports. I also agree that winning at all cost will also cause more violence, aggression, and the “tendency to crush the opposition”. What ever happened to a quick pick up game where the score did not matter, but you were just there to play the game? We must remember to instill in our children a sense of cooperation, fair play, good moral value, and a healthy competitive mind. In our society we are always running a million miles an hour, only focusing on external reward or the win. We are violent, aggressive, and cheat in order to achieve the win. We then pass this on to our offspring, Hundley made a good point in stating, “sport, however, does not merely reflect the values of the culture in which it exits. It also perpetuates them”. We must step back and realize that sports are a reflection of us, and we as a society can restore this perpetual cycle. We must put the play and joy back into sport, and it all starts with our own actions. So by all means play hard, be competitive, but have a heart, play fair, and enjoy the game. 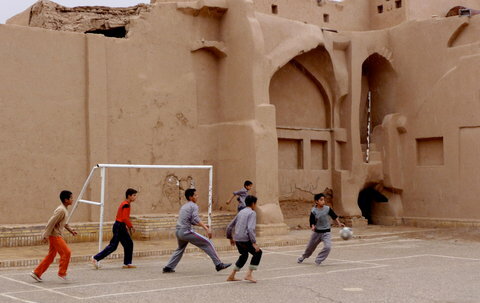 In consideration of the cultural pluralism and moral diversity among all societies it is hard to unify a common moral code in specifically, a competitive sport. This apparent multiplicity of values, morals, and ethics makes it difficult to cultivate a common moral code among all cultures. In the article by Sigmund Loland “Fair play: Historical anachronism or topical ideal” He tackles the struggle to conform a moral and ethical code of conduct for all. As a society we strive for ideals, rules, and guidelines in which to follow to enable play or games, that are rule-governed, to bring about an end in which all parties are satisfied. In an effort to devise a common moral code one must look at the following factors: fairness, ethos and ethics in games, and the why one participates in a particular sport/game. The problem with this norm as the ideal, is its formalistic approach, it assumes that there is only one way to play the particular game. Unfortunately, rules tend to become ambiguous among differing groups. Considering the grey area in which rules are placed, no game is ultimately defined by its rules but is structured in constitutive elements, which make that particular game. In a formalistic world any non-adherence to games assumes you are not playing that particular game, this does not give room for the ambiguity of the nature rules in games. As beings we enjoy the structure and values realized when participating in play, so non-adherence disrupts the nature of your true intention. This ambiguity of games takes us to the next objective, ethos in games. Adding the element of ethos, adds to the element of fair play. Making a more justifiable fairness norm. This is an important factor when trying to devise a common moral code. It must be realized that unifying a common code will entail also the interpretation of ethos and ethics for each group. This is a step forward from the previous norm, it allows for diversity in the playing of the games as it relates to different groups, and takes away the formalistic approach. Rules are ever changing, a “dynamic product of historical process”. As we play games we are discovering new ways to make the performance better, more challenging. We must not formalize our view of games, as this would limit us in our ability to bring about a common moral code for all. The next question, why is an individual participating in the game? Are the goals internal or external? Internal goals could be that of achieving excitement, joy, or kinesthetic pleasure from a game. Loland states, “The realization of internal goals depends upon the realization of the game according to the shared ethos that conceptualizes it.” In this case, their upholding of what is fair helps drive the individual’s goals. External goals are realized outside of the game, this does not directly result in the adherence to fairness, but can be driven by external desires for prestige or profit. The one commonality between the two is the desire to win. We all play to win, no matter the reason for participation. It is the desired outcome for all sides, in all groups. By adding a play norm this moral code of conduct, I believe, is a much more well rounded approach to the consideration of moral and ethical conduct. It reflects that the rules of the game are always changing, but good ethics is something that is shared all cultures. The idea of respect, justice, mutual aid, the desire to win are universal ideals and are assumed in the norm. The final fairness and play norms are a great start to producing a unifying moral code. It does not formalize the norms for a particular game, but encompasses why we participate in games and upholds the common underlying factor by which all cultures abide. From trick plays and foul language, to helping your opponent cross the finish line; sporting competitions can be portrayed as a brutal battlefield or place of common goals in the pursuit of excellence. As an athlete I have had many experiences that have gone in either direction. I have participated in soccer and cross-country, in both events I was small, quick, agile, and a great target for the defenders and other runners to push around. Sportsmanship has a plethora of well-stated definitions in reference to differing contexts in which the sport or activity is played. Feezell speaks of the relation of sportsmanship to virtue and how there are also varying degrees of seriousness to those who participate. Arnold divides sportsmanship into three categories. In this blog, I would like to touch on the differing views as well as dive into the controversial subject of “Running up the score” where Dixon discusses his views on sportsmanship and its relevancy to “taking it easy” on the opposing team. As a young athlete I always heard the saying “be a good sport”, but what exactly does that entail? There is much talk of the parallel of sport to life. Participating in sport may teach a child to work as a team, respect others, over come barriers, and learn to handle defeat and show respect to the defeated in light of a win. All of these attributes will translate well to situations later in life. Before I dive into what constitutes a “good sport” I would like to discuss what it means to be a “bad sport”. In the video clip it shows a distance runner in the last leg of the race hitting his opponent when he passed him for the win. In his obviously frustrated state, his reaction was uncalled for, which I believe may also reflect his state of consciousness. If he was a “good sport” and had a good moral attitude he would have accepted his defeat and congratulated his opponent for a job well done. But as I will discuss later, the act of congratulating your opponent, in the eyes of Arnold, could be considered Altruistic and not necessary for good sportsmanship. In the next clip Metta World Peace elbows James Harden. Wow. I do not follow basketball, or any other televised sport, but that is not only a blatant disrespect but also complete contradiction of his external portrayal of who he claims to be. 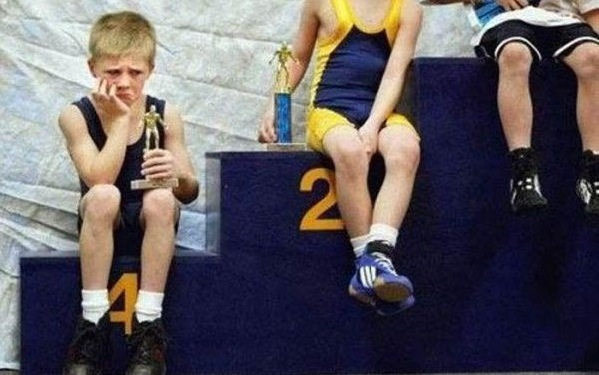 These are obvious cases of bad sportsmanship. As discussed earlier, sport is an aid in teaching moral value, though in the eyes of Simon he believes there to be no necessary connection between playing sports and building moral character, it can assist in doing so. Other forms of bad sportsmanship would include, cheating or the intent to injure an opponent. Although Feezell states, “but acting in such a way that one might injure an opponent is often morally ambiguous.” There seems to be a thin veil to what may represent “good” or “bad” sportsmanship. In opposition, the article by Feezell quotes Keating in stating “the interpretations of the essence of sportsmanship have included numerous other virtues: self-control, fair play, truthfulness, courage, endurance, and so forth.” Keating then dives deeper by also implying the dual nature of sportsmanship, sports as a playful activity and sports as a competitive athletic contest. There is a difference between participating in sports a player versus an athlete, but not to imply that there is no overlay between the two. The game its self has not changed, the rules are the same, expectations of moral behavior are not vastly different, but attitude, preparation, and reason for participation may differ. These divergent views of sportsmanship will help conclude later whether it is of good sportsmanship to “run up the score” of a game or event. 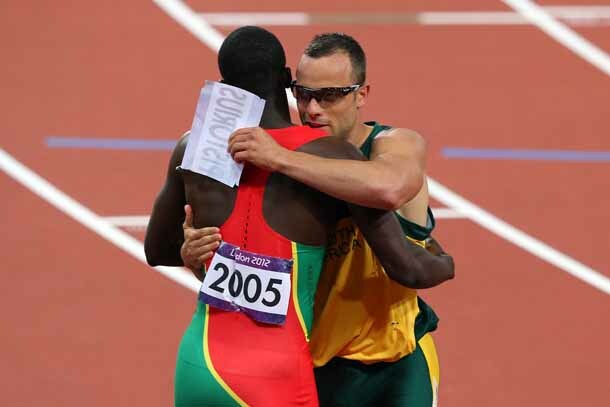 I believe good sportsmanship should parallel good virtues, we all have moments where we may react to a situation in sport irrationally in the heat of the moment, and ultimately in the end it is how you handle the situation post reaction. Did you apologize for your crude irrational actions? Help the opponent up after you have just fouled them? Congratulate them for their win? In Arnold’s article on sportsmanship it was divided into three different views. 1. As a social union, where “playing by the rules promotes a sense of community and amicability.” In this approach one must not only play by the rules but also keep faith in the spirit of the sport by acting in ways not required by the code of conduct but acted out due to your adherence to moral values, traditions of competition, and friendly rivalry. In this form of sportsmanship, it is not whether you win or lose – but how you play the game. 2. As a means to pleasure. Arnold disputes against Keating’s division between “sports” and “athletics”. Whether participating for play or the struggle for victory, “marked by a spirit of dedication, sacrifice, and intensity”, Arnold argues that some of the best examples of this type of sportsmanship arise from pursuit for ” honorable victory”. It is when an athlete acknowledges what is morally and ethically right even if it results in a loss for him/her. 3. As altruism, forms of action and conduct that are done not just because it is fair play but there is a concern for one’s fellow competitors. In this occasion, an athlete goes out of his or her way to help an opponent, on the same side or not, even if the end result brings, suffering, misery, pain, or a loss; he is going above and beyond moral or ethical obligations. In the end I believe in sports, reason for participation aside, good morals and good ethics should always take forefront. Bad karma is not something I choose to collect. The last question, is “running up the score” entail good sportsmanship? Dixon believes there is nothing wrong with allowing for a lopsided victory in a competitive game. In our society we have equated a large defeat with humiliation of the losing team. Dixon points out, if the game is played with out the intent to humiliate, and they conduct themselves fairly, there is nothing wrong with winning in such a way. Something could also be said of going “to easy” on the other team. Sportsmanship is a two-way road; you must accept defeat as honorably as you accept victory. Large defeat can also denote level of ability. There is something to be taken from defeat, it can be used as a tool to grow and become a better athlete. I believe that such a victory is acceptable, especially in a competitive athletic situation. I also think that there should be a level of prudent thinking for the starting players and if given the opportunity to rest, that should be done. Even in large defeat, I do not think that it is appropriate to ask the second string players to not play to the best of their ability. Some may only get a few minutes in the game to play, and if that were the case I would not be playing lightly. It would be appropriate to “take it easy” in more light-hearted gaming situations. In the case of teacher/student, if you know that your ability exceeds that of your opponent, and the context of the game is non-serious and non-competitive, then lightening up your game may be appropriate so that you may teach your opponent and allow him/her to grow in their own abilities. We have all experienced the good and bad of sportsmanship. Good sportsmanship is not only abiding by the rules, but having genuine concern for others, not just for “honorable victory”, and having the ability to put emotions aside and respect the outcome of the game whether you win or lose. In the end, it is just a game. In moments where a teams ability is obscenely out matched, both teams must still play admirably, with only the intention of fair play. Though sport is not the only avenue for educating one of proper moral and ethical values, it can play an integral role of teaching us the ups and downs that occur in sport and life.